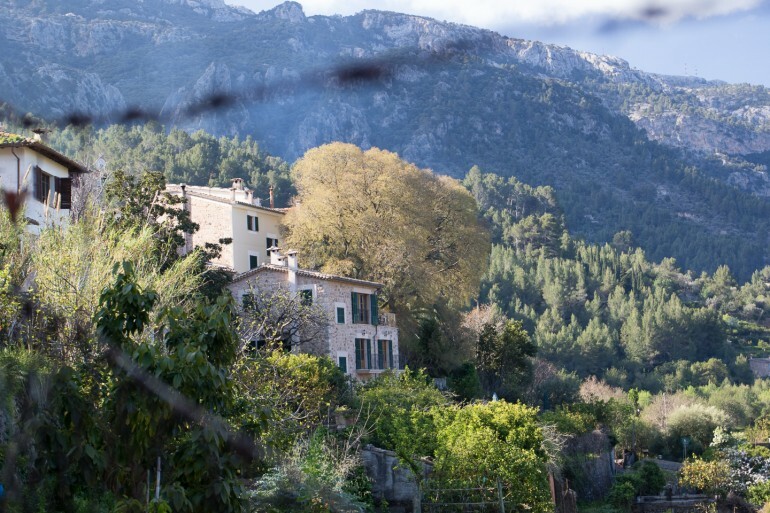 Known mainly as a summer resort to give some warmth and provide beaches when the summer in northern Europe is raining away, Mallorca is also perfect for more active vacations. The rich and varied landscape is perfect for cycling, hiking or climbing and there are lots of gems for foodies to find outside of the main tourist areas. One thing to know is that no matter where you want to go on the island, it takes around 40 minutes by car. All major roads go through Palma, and there’s much to see around the Island, so renting one is recommended. This means that unless you really want to have walking distance to a specific area, where you stay is not that important. Mountain homes close to Biniaraix. On the surface the food scene on Mallorca might seem lacking. But look under the surface and there are some world class experiences to be found. Many of the more expensive restaurants offer a three course lunch meny providing very good value for the money. 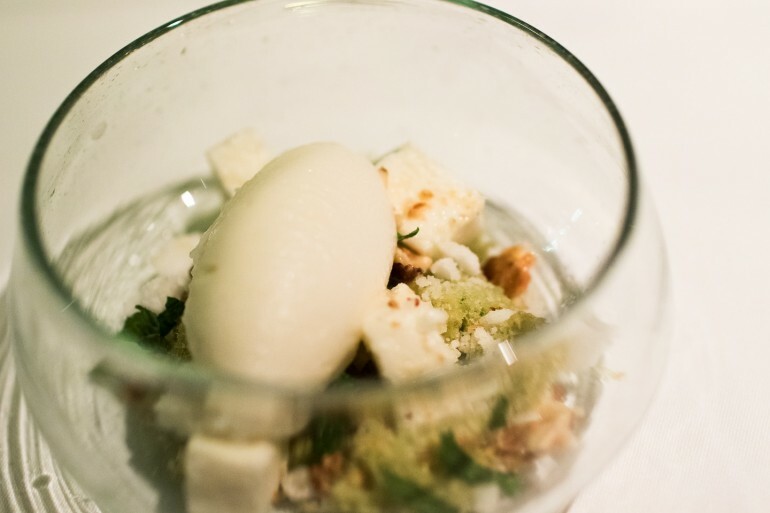 Sorbet, yuzu sponge cake and aerated sugar at Restaurant Santi Taura. Cobble stone path on Barranc de Biniarix (GR221). 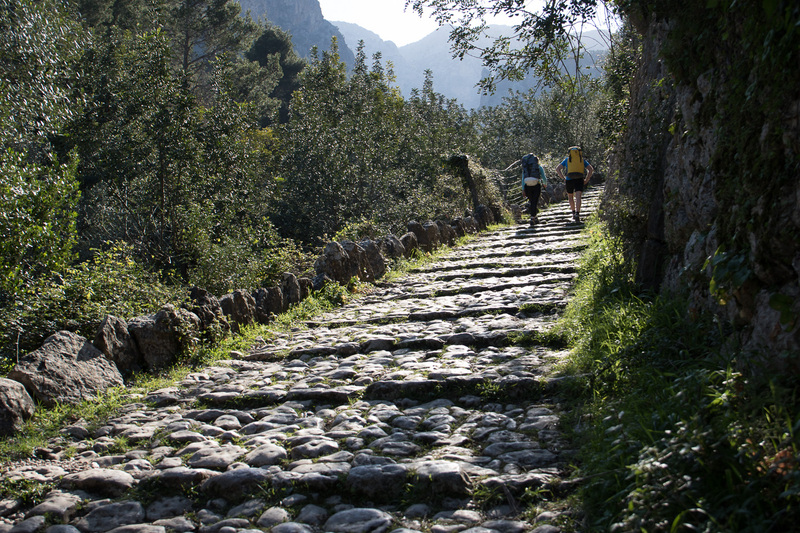 The most classic hike on Mallorca is probably The Barranc de Biniarix, a walk up old cobble stone paths to the l’Ofre summit along the GR221 trail. Total ascension is around 1000 meters. Another hike worth checking out is the Torrent de Pareis which incorporates a bit more scrambling to get through some boulder fields. 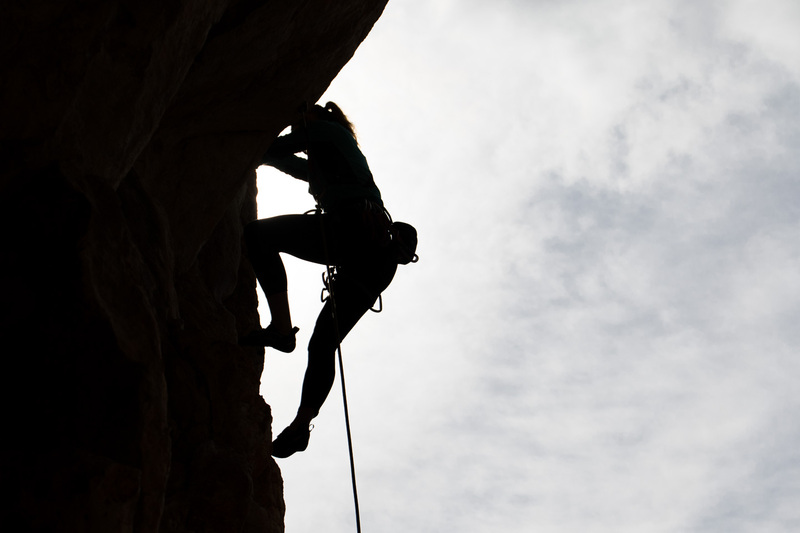 Mallorca provides numerous sectors, from easy grades to some quite hard climbing and is very famous for the deep water soloing possibilities, particularly the Cova del Diablo. For the novice climbers S’estret (just south of Valdemossa) provides lots good routes in the 5-6a range.